In his own words: Jon Watts' story of his transformation from a young man in prison to one with a stable future, qualifications and a career, with help from The Duke of Edinburgh's Award. I left school at 16 with no plan or idea of what I wanted to do. I found myself getting into trouble with the law for various offences, there was a period of time that I was being arrested every single weekend. In January 2008 at 18 I was in court and I was sentenced to six and half years in a young offenders institute. There I was, 18 and in prison. I tried to sign up for everything I could, it was that or face 23 hours every day in a cell. The local football club was running The Duke of Edinburgh's Award (DofE) and came to give a speech about how it could affect us. I was inspired and put my name down. For my volunteering I was a Listener – these are prisoners who are trained by the Samaritans and we were on call 24/7 for other prisoners to speak to confidentially and it was very rewarding. For my physical I took part part in team activities like football and volleyball and this helped keep me fit. Working in the kitchen as part of my Skills section was going to give me a qualification I could use outside prison, and kept me motivated. Being locked up in a prison meant we weren’t going to be going anywhere far for the expedition, so we camped out on the football pitch and took part in lots of teambuilding events. After completing my offending behaviour programs I was able to move onto the semi-open part of the prison where I could be released for work activities. 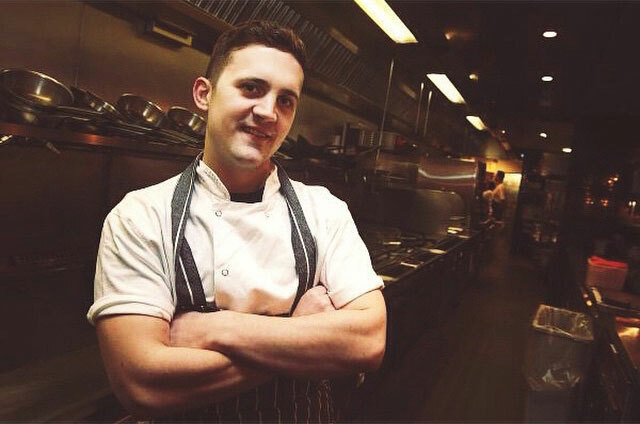 The opportunity to work at one of Jamie Oliver’s Restaurants came along – I didn’t hesitate and got stuck in. I worked for Jamie Oliver’s Restaurants for five years, I worked my way up from Commis chef to Sous chef. In 2015 I started working for myself and offer a private chef experience for dinners and events. I could be a million miles away from where I am now. But I am not, I am still a young guy with ambitions and dreams, I will be a success. I believe all young people, regardless of who they are, should take part and achieve their DofE Award. It truly can unlock your potential and help you grow into the person you really want to be. The Duke of Edinburgh's Award celebrates its 60th Anniversary in 2016 - find out more about the DofE Award on their website.